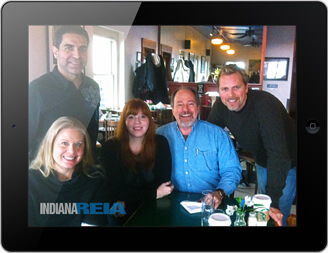 The Indiana REIA™ roots can be traced back to 1995 when six Fort Wayne landlords met in private for coffee. During an interview with PBS Fort Wayne REIA co-founder Scott FladHammer shared the humorous, humble beginnings of how the REIA got its start and the modern day community and educational powerhouse it has become in 2019. “The coffee table was invite only with a right of refusal. We discriminated on the things that really matter: attitude, knowledge, act taking. The class of folks that have those qualities are rare so we didn’t need more chairs for the table anytime soon. The nomination process was as informal as it was drawn out; a bit like the ‘hire slow, fire fast’ theory: a name was mentioned and we would jot it down to do a search later at our computer because there no smart phones back then. Although we were initially hesitant to grew our numbers, we found that as more colleagues joined our table we developed more contacts, advantages and resources. One benefit was particularly empowering was when the Fort Wayne City officials tried passing one of those ‘brain fart laws’; you know the kind: where someone utterly outside the industry of real estate feels some ‘wrong’ must be ‘righted’ so the anointed person slides a proposal that does a little bit of good to a small selection of people at a huge cost and disservice to the majority. Now armed with the ability to organize, our small group we marched down to voice our ‘cold bath of logic’ in order to set the record straight. And it worked great! Obviously other landlords felt the same way because our small table grew to fill the whole room at the restaurant. This wasn’t a word of mouth movement because we didn’t encourage anyone to invite others. Again, we didn’t want a large group because we all had real estate businesses to manage. Responding to market shifts and member’s interest in learning additional areas of real estate we asked if anyone knew about ‘quick-turns’ (now called flipping). Sure enough one guy had been doing it for a while and said he’d be glad to teach a few classes on it to the group. That worked out well because it attracted other investors; which brought more contacts, advantages and resources to our table. Our close-knit group double in size in 2000 to a whopping eight. In 2001, we finally decided to give our private network a name. Mostly because it was such an understatement to say, “I’m going for coffee…” when in fact we were meeting to grow our businesses to the next level, provide a solid foundation and security for our families, learn new techniques, law changes, … to flip deals, exchange notes on tenants and contractors, find money sources… and the list goes on. So, as we were leaving the meeting one morning I asked if anyone had a name for our motley group. One of the landlords present also had a side business, either a car lot or a bar- can’t remember which. Anyway, his place was called Summit City something and he hollered out Summit City Investors. Nobody said ‘no’ and the waitress said it had a nice ring to it. So we shrugged and christened the new name with a round of coffee. Partly because of a phone tag problem (I didn’t, and still don’t, carry a cell phone) and partly because one of the landlords wanted to flex her technical internet prowess, we decided to throw up a webpage. So I bought the domain name SummitCityInvestors.com. This was the clubs first ever expense. I agreed to pay for it if I got free coffee at every meeting for the rest of the year. At the January meeting I announced to all that I was buying the domain that night. So officially the free-coffee all-year’ arrangement starts now; no sugar, skim milk please. Finally the site was up in 2006 and featured a calendar of the upcoming meetings, a meeting topic if we had one and the address of each meeting location. We still had no real long-term agenda; no long-term purpose or reaching goals. It took 2 out-of-town investors (who had some rental property in Fort Wayne) to talk us into being a bit more formal with the whole thing. After one meeting one of the out-of-town landlords, said, ‘You guys need a board of directors for the group’. I said, ‘Really, why?’ “Well that’s just what you do”, he assured me. So we voted up a board right there on the spot. I got the title of president because it was agreed I had the most free time on my hands to juggle the paperwork for this newly minted board. People seem to think I don’t work much since I don’t own a cell phone or take incoming calls at the office, or play with social media. Either way, nothing really changed; we all still pitched in to make the meetings great. As usual we continued to scribble notes about the real estate topics we would like to learn about. Two of the guys were retiring next year and moving to a sunshine state so how about getting some advice on IRA investing and REIT’s. So let’s bring in some City officials in to throw tomatoes at our two cents out. A few of saw the writing on the wall: banks were giving money to people who couldn’t get a cell phone. We better get some equity out now because when things correct, and they always do, money is going to be scarce. The bad thing happened and we in the Fort Wayne Real Estate Investors Group weren’t shocked. The investors groups were the first people in the public to see it coming. I remember going to the Central Indiana Real Estate Association and hearing Mike talk about it also- a year before it all hit the fan. I can count on one hand the investors who took action a year before the meltdown to get into position for the perfect storm we will probably never see again in my lifetime. That is just one more reason to stay plugged in to your local REI Club. Those investors who did not catch on caught fire. Meanwhile, the group was growing outside of the Fort Wayne limits. We soon had REIA members in Churubusco, South Bend, Columbia City, Roanoke, Gary, Elkhart, Mishawaka, Valparaiso, Goshen, Huntington, Warsaw, Auburn and Bluffton. So we listed everyone in a Directory so we had one place we could quickly connect with someone. Now the Summit City Investors title was becoming a bit confining and did not representative the group’s true identity. It started gaining attention and members from all over Northern Indiana, Illinois and Ohio. So around 2007, we expanded the name to the Indiana’s Real Estate Investor Association® affectionately referred to as Indiana REIA™ (you know who coughed up the bill for that domain name too). Now, Indiana REIA™ is the longest running real estate investors association in Fort Wayne and the fastest growing R.E.I. Association in Indiana. Members come from a wide range of backgrounds but with a common interest in real estate investing. Our Associations’ success has been written about and talked about by experts, Fort Wayne city officials and real estate celebrities because of the great education the group provides the membership. In the end our investor club depends upon the member’s dedication, knowledge and volunteering just like it did when it started in 1995. Our REIA community demographics consist of like-minded real estate investors, entrepreneurs and professionals, coming together to discuss and share deals, investing techniques, contacts, methods, financing, strategies, education, motivation, training, mentoring and success. Our trainings are 100% investor developed. And we are 100% investor owned and operated. 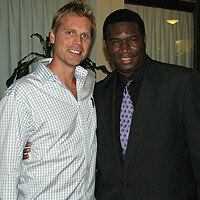 That allows us to avoid relying on outside sales people or the Fortune Builder-type up-selling conferences. To keep it simple we formed an LLC to pay the bills. Fort Wayne Indiana REIA™ is directed by a volunteer Board of Directors made up of members elected by the members. The main purpose of the Board of Directors is to direct the Association towards our highest goals. We would love for you to consider joining the family.